v1.2 0f earlier photo here. This JFT is painted in special markings to commemorate the 500th production plane from PAC Kamra, also paying homage to Baba Quaid e Azam, Mohammad Ali Jinnah, also known as "J-the Mystery Man", whose vision led to the carving of Pakistan on the face of the sub-continent, which then led to co-operation between Pakistan and China and ultimately to Jf-17 Thunder project . Also Note the paisa theme . Baba ji has been cropped from Rs. 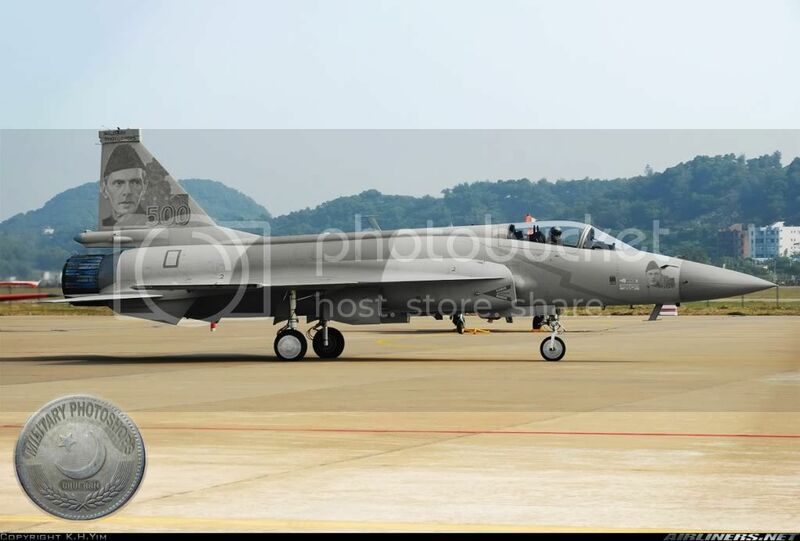 500 Pakistani Ruppee Note and on Tires This Jf-17 has 1 Rupee like rims.